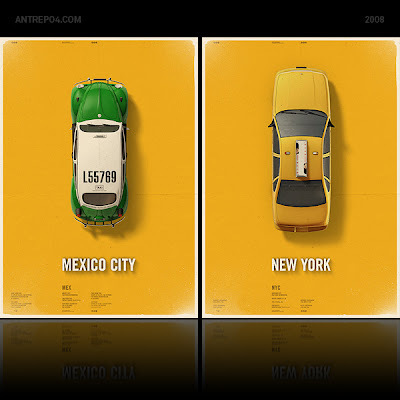 City posters about different style taxicab for different city. 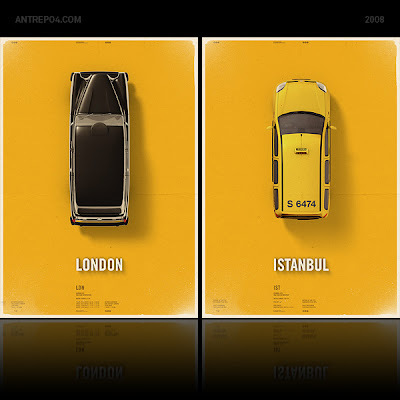 Black style taxicab from London, Yellowcab from New York City, Panelvan style from Istanbul, VW Beetle from Mexico City. Also this posters displays a current taxi fare information. Good job. This posters are great. When will you open your shop. I am curious to see more products. These are brilliant! 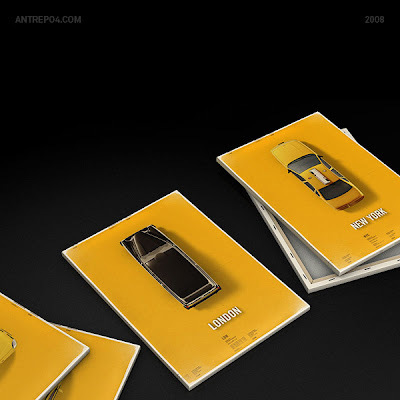 I also am enamored and curious about why London's cabs are black..
U should consider including Portuguese cabs also.